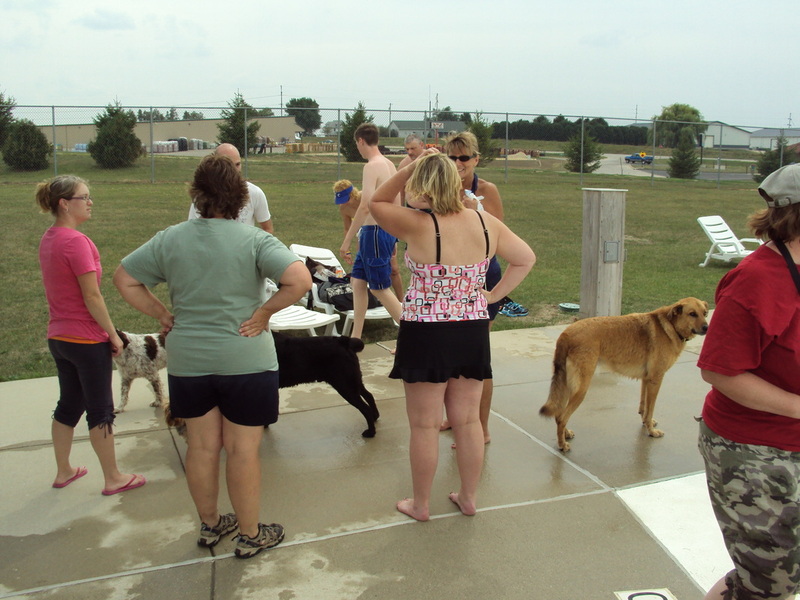 Aquatic Center - Monona Chamber & Economic Development, Inc. EARLY BIRD DISCOUNT!! Sign up by May 27, 2016 to buy your Family Aquatic Center season pass @ 2012 prices. Prices go up to 2016 pricing on May 28. Call Sophie or Linda at city hall with your questions 563-539-2355, Mon. - Fri. (office closes 4 p.m.). The Monona Aquatic Center was built in 2007 with funds donated by the late LeRoy and Colleen Darby family and private donations from families of our community. 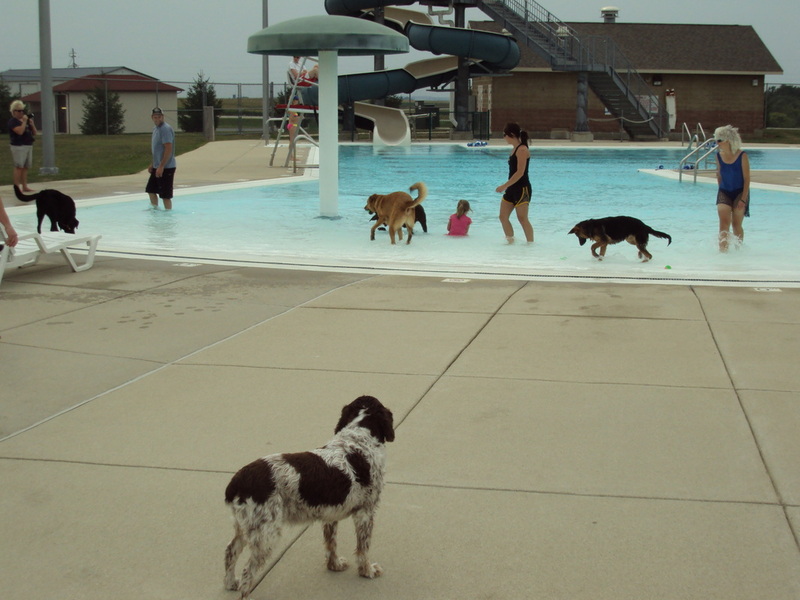 It is a zero- depth pool located on the southwest edge of Monona near the water tower and Butterfly Garden Trail. The shallow end of the pool has a small Bulldog slide, geysers, and a mushroom waterfall. It has lanes for lap swimming and swim meets. It has two slides - a racing slide and a twisting slide and a diving board in the deeper water. Outside of the pool is plenty of space for lounging on the many chairs as well as a sand area for volleyball and playing. There are 4 giant umbrellas for those who prefer shade on hot days. The pool is open each day from Memorial Day to about Labor Day. The pool is open to the public from 1 - 5 p.m.and 6 - 8:30 p.m.; with adult swim only from 5 to 6 p.m. Wednesdays are Teen Swim night from 8:30 to 10:30 p.m. Please check out the City of Monona's website for admission rates, as they are subject to change from year to year. Season passes are available for both individuals and families. The pool is host to a combined Swim Team with Postville. Each Monday and Wednesday evening the teens enjoy a fun night of swimming and games at Teen Swim Night. The pool offers both public and private lessons. They have a full concession stand. Throughout the summer the pool hosts special event days such as the Open Day Celebration, the Luau and the Pet Swim. You can enjoy a Private Party with friends or just have a Birthday Bash from one of the birthday packages offered. For more information about the Party Packages, please stop by the pool or call a Pool Manager.